[GIVEAWAY] Popular Self-Serve Fro-Yo Chain Yogurtland Now Serves Ice Cream Too! - EAT WITH HOP! Home / CHAIN RESTAURANT / DESSERT / GIVEAWAY / ICE CREAM / [GIVEAWAY] Popular Self-Serve Fro-Yo Chain Yogurtland Now Serves Ice Cream Too! My favorite fro-yo flavor from Yogurtland is the plain tart. I know they have so many flavors but I love the plain tart because I think it complements the toppings the best. And I loooooove topping it all off with their bajillion choices of toppings! Btw, my second favorite flavor is green tea if anyone's wondering. xD It's only available in certain locations though! I recently went to try their new vanilla and chocolate flavored soft serve ice cream. It was delicious and I am hooked! Apparently, the soft serve ice cream is only available for a limited time only. Can someone at corporate Yogurtland tell me how limited? BECAUSE I ACTUALLY LOVE THEIR VANILLA SOFT SERVE! 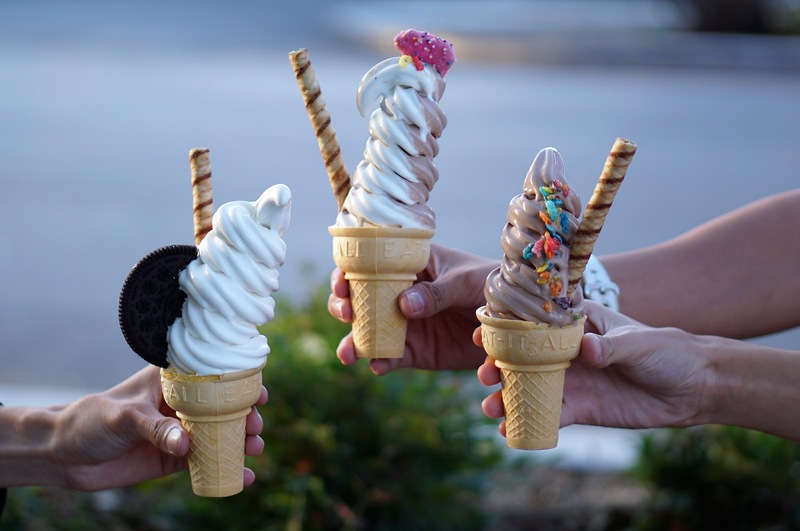 The popular frozen yogurt chain started serving ice cream on August 29, 2017! There are over 60 toppings to choose one and honestly it's diy so you can't go wrong (unless you choose weird topping combos!). So I've heard from others that Yogurtland is charging the soft serve by weight. I think it's around 40 cents per ounce? I don't know. I just know it used to be like 30 cents per ounce waaaaaaay back in the day like ... a decade ago. But if you go to a location that has the cones available, the ice cream is actually a flat price of $1.99. That is a stinkin` deal y'all. GET ON IT! I had to call Yogurtland myself to ask if they have cones are not before driving there. Here's why it's worth it for $1.99: You are basically paying this price to get the cone and y'alls can pay for the cone first or after, up to you. But the pricing comes with toppings and however much you swirl! WHICH MEANS SWIRL AS TALL AS YOU CAN TO MAKE THAT $1.99 WORTH IT! After swirling, decorate it with some toppings to enjoy! I am probably gonna return to try a taller swirl because I am addicted. And can't beat $1.99! Yo! That's a deal! As far as I know, the toppings station at the Garden Grove location on Brookhurst / Westminster is legit so nicely organized and laid out with so many toppings. Unfortunately, the day I came they had no cones. I then went to the Garden Grove location on Brookhurst / Chapman and they seemed to have fewer toppings and wasn't as organized. However, THEY DID HAVE THE CONES and I was a happy camper. Yaaas. Soft Serve ice cream is so dang good. It's definitely a different texture compared to the ... thick and creamy ice cream. I didn't enjoy the chocolate soft serve because it just tastes like cocoa puffs cereal to me but in soft cream form. I never enjoy chocolate soft serve from anywhere though. The Vanilla Soft Serve ice cream is legit good and I personally thought it was better than Mcdonald's Vanilla Soft Serve (and I'm sure we can all agree McDee's soft serve game is on point). However, Danny (@eatingwitheatingwithhop) didn't agree and still prefers Mickey D's version. In comparison to other places like Joe's Italian Ice and Kups and Confetti Ice Cream though, Yogurtland's version is almost as good. But it's good enough for me and probably perfect to somebody else! Actually, while eating this, I was thinking it would go so well with some italian ice. If only Yogurtland started serving that too haha. IF Y'ALL LOVE SOFT SERVE, I 10/10 RECOMMEND THIS. Try to see if you can make a taller swirl than me! I apologize for being a bit late into the month of September already without launching any monthly giveaway. So this will be a September - October giveaway! Bear with me guys! I suffered from jet lag for 2 weeks when I returned from my vacation in Korea the first two weeks of September. Arghh! 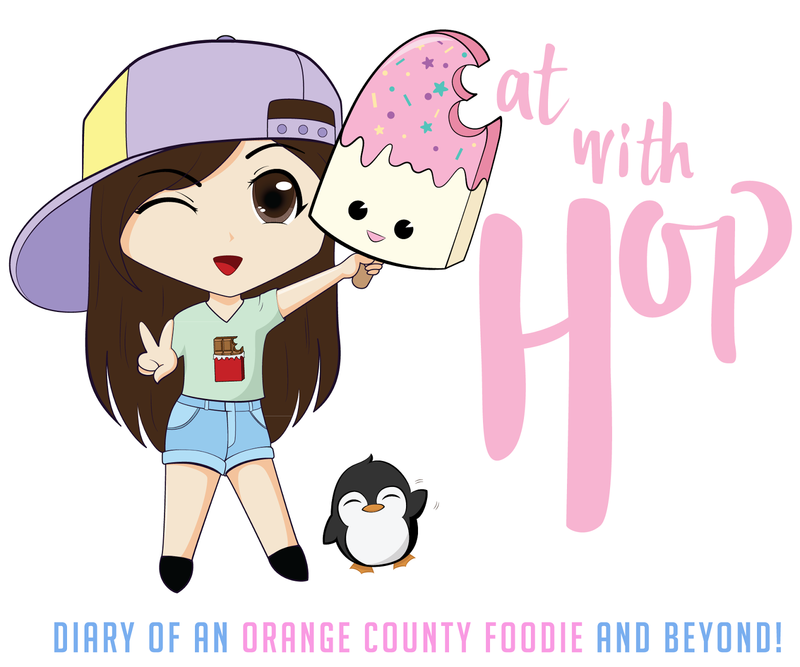 Yogurtland is one of my favorite places so I am so excited to be doing a giveaway collaboration! Prize: $10 Gift Card redeemable at any Yogurtland location! Winners: Picking 2 lucky Taste Buds for this giveaway! If you've ever been to Yogurtland before! What is your fave thing to get at Yogurtland?! 2. (Optional) Follow Yogurtland on social to stay updated!